To learn everything you need to know about life in the charming town of Ladysmith including education, recreation and job and business opportunities, please visit http://www.ladysmith.ca/parks_rec.php. The SEASIDE TOWN OF LADYSMITH offers its historic charm and community spirit to all who visit or live here. 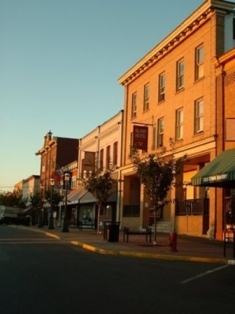 Founded over a century ago, Ladysmith is consdiered to be one of the prettiest towns in Canada, nestled between the beautiful Ladysmith Harbour and the emerald hillsides that rise gently above the town. Stroll along red-bricked sidewalks to visit 100 year old restored shop fronts or join the merry making at Ladysmith's famous winter Festival of Lights. Ongoing downtown heritage revitalization and an ambitious plan to renovate the industrial waterfront to include a marina, resort, townhouses and condos is attracting tourists and new businesses to this proud community. 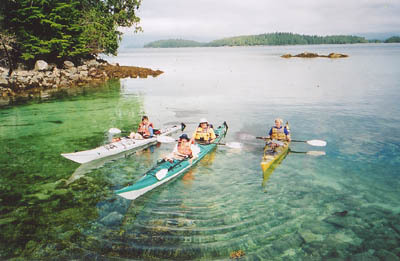 At Transfer Beach Park you can swim or kayak in the sun warmed shallow waters of the bay, enjoy the family play areas, loggers' sports and outdoor concerts at the amphitheatre. Wind along the serene pathways of the Holland Creek Trail or take the challenge of the Hart Lake loop. With over 7500 residents, this growing town features a full range of services and amenities while maintianing a strong sense of community ownership and environmental sewardship. A diversity of housing and real estate opportunities exists with many homes and condos boasting wonderful ocean and mountain views, or locations snuggled up against surrounding trees, hills and creeks. COME HOME TO LADYSMITH, and a healthy balanced lifestyle!